Imagine arriving at your destination by horse-drawn carriage. Could your day be any more perfect? The Cape May Carriage Company offers a wonderful bridal service which includes picking up the bride and taking her to the wedding ceremony location, taking the bride and groom to have their photographs taken at a romantic location, and taking the bride and groom to the reception. Pickup and dropoff at your specific locations (our travel time is included in the cost). Our wedding horses are specially trained and not used in tours. They are able to stand in different locations around town, for varying lengths of time, for your safety while entering and exiting the carriage. You can choose a black or white horse. Our wedding carriages are never used for tours, so they are kept in beautiful condition. Carriages are detailed the day of your wedding. You are the first to sit in the carriage that day! Our drivers wear tuxedos. Some jobs require footman, who are also in formal wear. Our weddings rates are non-negotiable. Cape May Carriage operates in Cape May only. We are unable to travel outside of Cape May. Allow us to create a custom tour package for your special event! Our engagement rides depart from our booth at Washington and Ocean and take you to the Cove, where you can exit the carriage for your proposal while we wait. We can even help you with photographs. 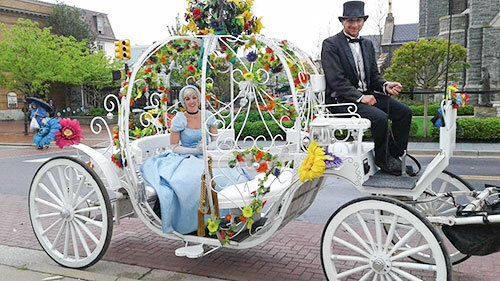 Reserve our Cinderella Carriage for a royal birthday party! We can depart from our carriage stop or from any location in Cape May. We'll provide a specially trained horse for this event, for your safety. 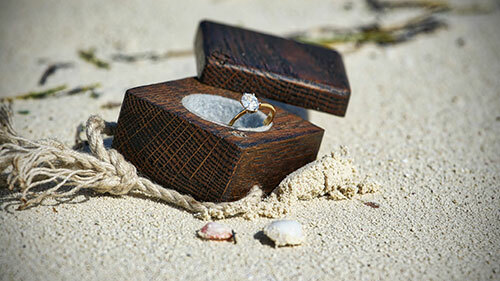 For insurance reasons, our Special Events contract cannot be used for weddings. In the event that a party books an event that is actually a wedding, our insurance will not cover the event. We will not be able to permit your party to board the carriage and you will not be issued a refund. Tours are weather and business permiting. For the safety of our horses and guests, shifts may be shortened due to hot and humid weather or thunderstorms, excessive heat, snow, and icy conditions.